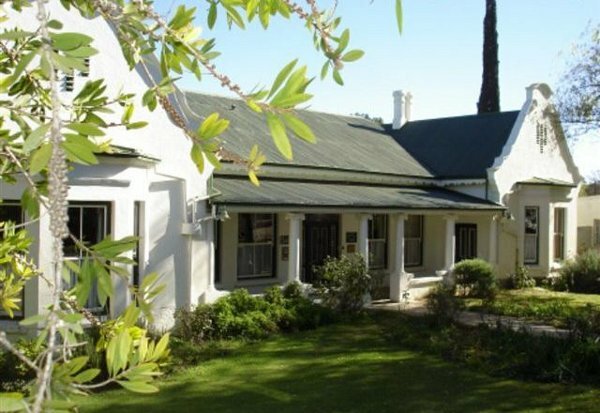 The gracious Victorian-style homestead, Heritage House, is situated in a large tranquil treed garden within walking distance of the Cradock central business district. Each of the seven double en-suite bedrooms has a private entrance from the garden and is equipped with television, bar fridge, tea and coffee tray and ceiling fan. Heaters and electric blankets help keep the winter chill away. A large swimming pool and braai (barbeque) facilities are available. Home-cooked evening meals and lunch packs are available upon request. Heritage House is child and pet friendly. Heritage House boats 7 rooms: 4 en-suite double rooms (one with double bed and cot) are situated in 2 garden cottages (non-self catering) and 3 en-suite double rooms (one with double bed and cot) are in the main house. All rooms have private entrances from the garden and are equipped with television, bar fridge, ceiling fan, tea & coffee tray and toiletries. Heaters and electric blankets are provided in winter. Click here to enquire at Heritage House.